Belo Horizonte, Brazil: The administration of the non-psychotropic cannabinoid cannabidiol (CBD) reduces cocaine-induced toxicity and lethality, according to preclinical data published in the journal Mediators of Inflammation. Investigators at the Universidade Federal de Minas Gerais, Institute of Biological Sciences assessed the role of CBD in the mitigation of cocaine-induced toxicity in mice. Authors reported that CBD administration inhibited cocaine-induced seizure and liver injury in mouse subjects while also increasing survival rates. Survey data published online in April in the journal Epilepsy & Behavior reported that the administration of cannabis preparations high in CBD are associated with a reduction in seizure frequency in adolescents with intractable forms of epilepsy. To date, fifteen states have enacted legislation acknowledging the therapeutic utility of cannabidiol. For more information, please contact Paul Armentano, NORML Deputy Director, at: paul@norml.org. 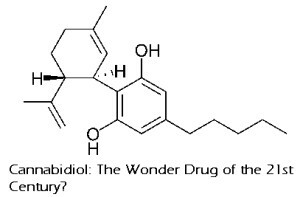 Full text of the study, “Cannabidiol rescues acute hepatic toxicity and seizure induced by cocaine,” is at: ncbi.nlm.nih.gov. Governor Asks: What If Pot’s Legal And Taxed?